While most people will pick and choose when they filter, or don’t bother at all, for the past three years I have filtered my water on the trail regardless how clean it appears to be after having picked up a partially bad case of Giardia while travelling through India. 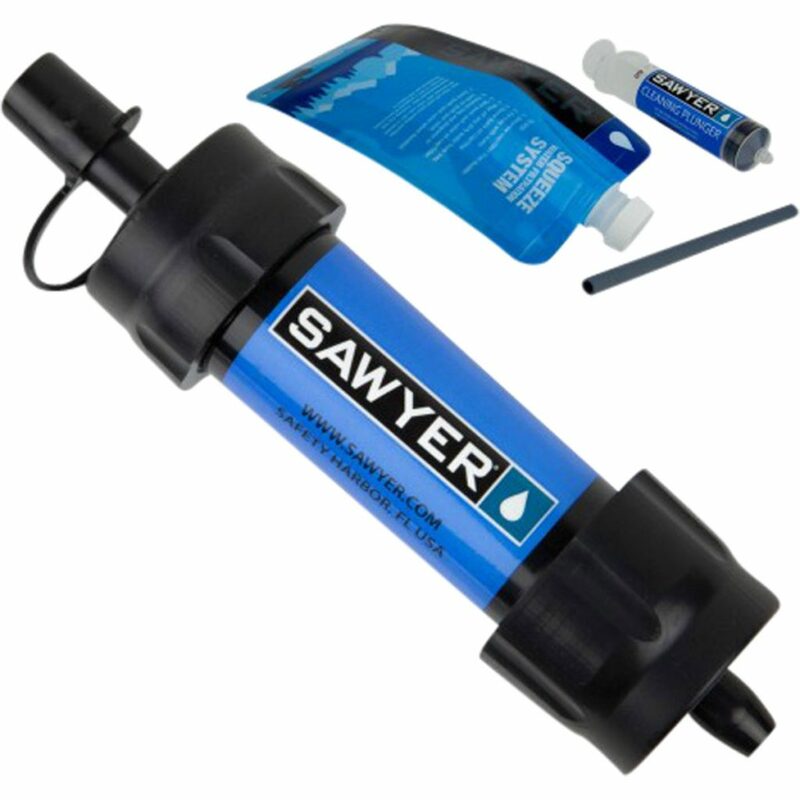 My current filtration system of choice is the Sawyer Mini which both Gill and I have been using for nearly two years. This filter falls in to the physical filtration category and works by filters water though ‘U’ shape hollow filtration fibres that will filter out particles down to 0.1 micron in size. What this means is that this filter will remove harmful bacteria, protozoa and various cysts like Giardia but not viruses. Virus contamination is not a major issue in western countries so for the majority of my hiking this is my ‘go to’ filter. Gill and I both use this filter but we do so in different ways. 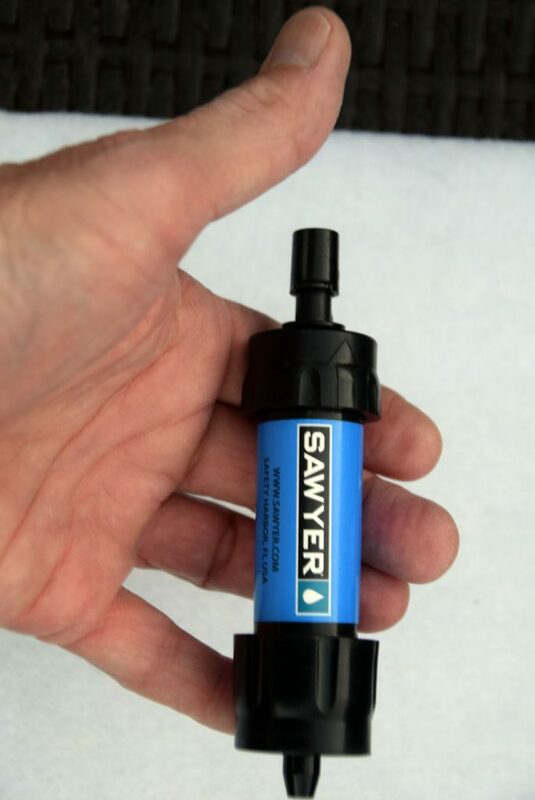 I prefer to use the Sawyer Mini as an inline filter in conjunction with my hydration bladder and have been very happy with the results. In practice what this mean for me is that I top up my bladder early in the morning and can drink instantaneously. There are some drawbacks as an inline filter as it does reduce the water flow and makes sucking water just that bit harder particularly first thing in the morning. It is also really, really slow to fill up cookware. 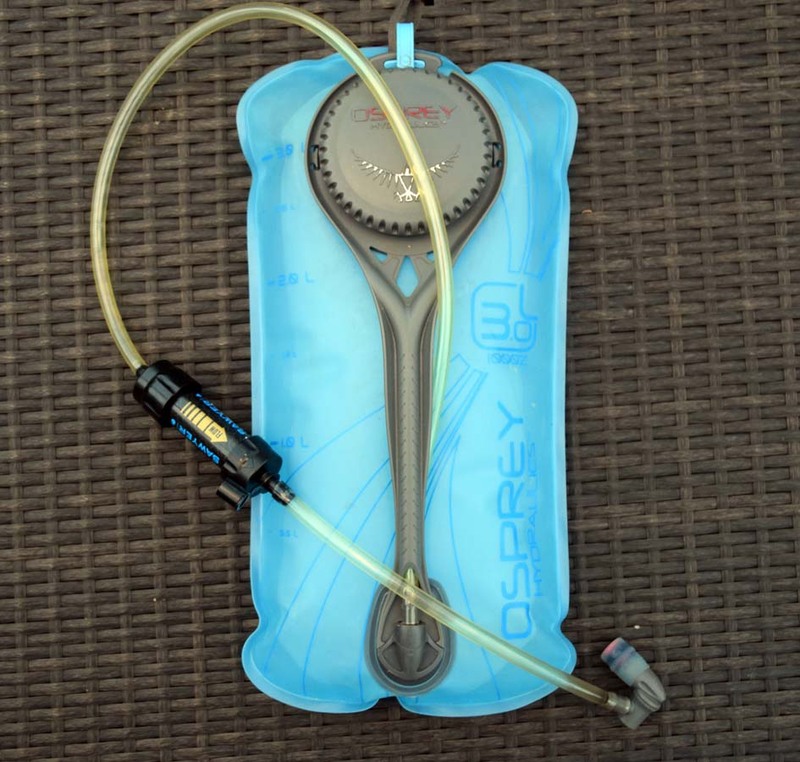 using the Sawyer Mini in this fashion means that my hydration bladder which now contains dirty water is now a dedicated dirty water bag. 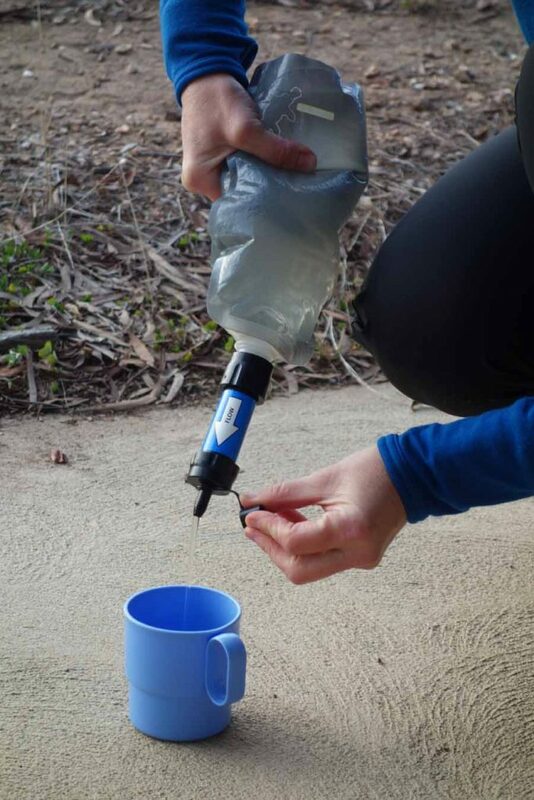 Physically attaching the Sawyer mini inline is an activity that you want to do when you have plenty of time and access to boiling water to soften the bladder hose. It doesn’t come off in a hurry once it’s attached. Gill on the other hand users her Sawyer Mini in ‘squeeze’ mode. What this means is that she fills a small bladder (we have replaced the kit bladder with a larger version) and squeezes the water through the filter into her hydration bladder. Used in this fashion it work really well when cooking but takes longer to fill the bladder in the morning. The other issue with using this filter in this way is that you need to be careful of cross contamination. The thread on this filter is for the USA and is just different enough from Australian products to mean that dirty water escape the bladder as she is squeezing so she needs to ensure that it doesn’t enter the clean water bladder she is filling. This is easy to do but you do need to pay attention. 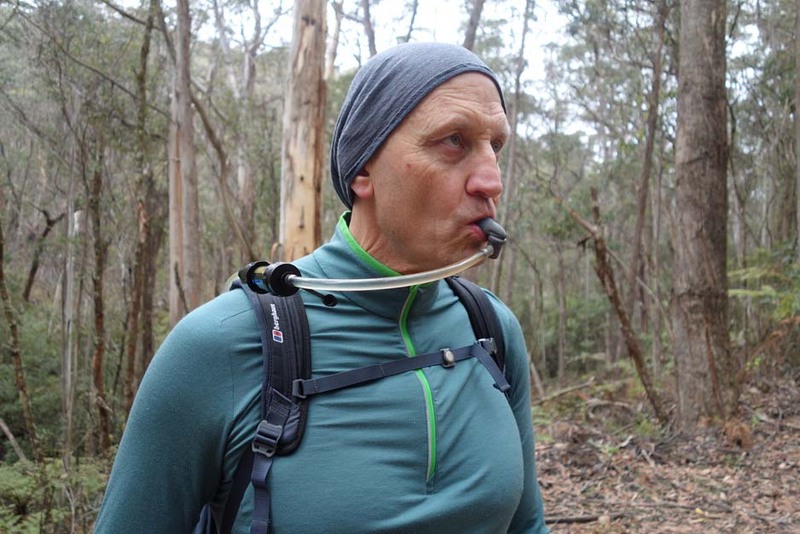 The kit also comes with a straw so if you are really keen you can drink straight out of water source like the well known Lifestraw. The standard Sawyer Mini is blue in colour and typically if you are purchasing in Australia that’s what you will get. If you are only buying one filter buy locally. However if you are purchasing more than one unit, and don’t need it straight away then purchase though Amazon in the US. Even with the freight charge and the exchange rate it works out to be much cheaper. Ordering from the USA will mean that you have access to a large variety of colours (my unit is black which confuses people when they see it). If your source water is filthy then you may want to pre-filter first to remove most of the solids otherwise you may find that this unit may clog up. The kit includes a syringe which you backwash the filter with to remove any blockages. I have never had to use the syringe in the field but both the filter and the syringe are so light that I always have it with me just in case. This is a great personal filter that is easy to use and so light weight you will forget its there and on that I highly recommend. 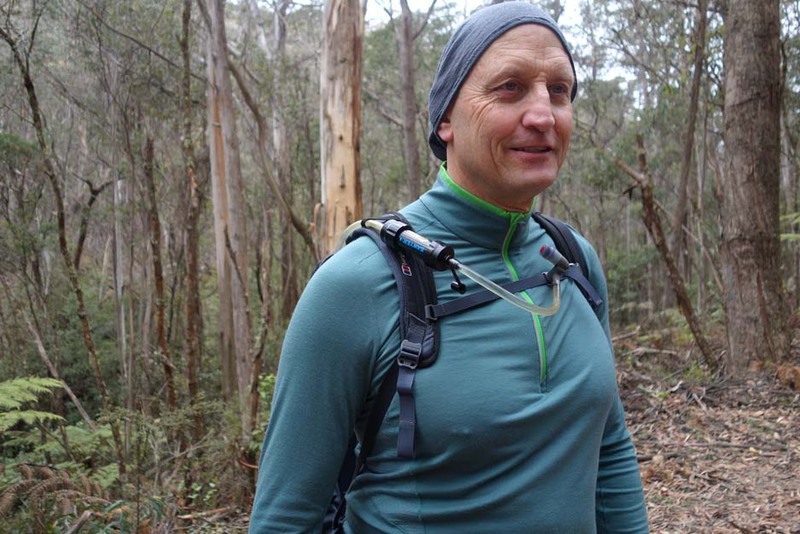 If you are purchasing just one unit in Australia buy from Rays Outdoors. If you want two or more units Amazon in the USA offers a better deal even factoring in freight and the exchange rate. You will also find a range of colour from Amazon rather than just the standard blue that you find in Australia.